Which is Better: Day Laborers or Professional Movers? Wondering if You Should Use Professional Movers? If you’re looking to make a Tucson, AZ move, there’s a decent chance you’ve wondered who you should hire to help you move. Obviously the professionals are the best when it comes to actually making the move. That just makes sense. However, the price point that day laborers offer can be very appealing. Of course, you know the old mantra, don’t you? Despite what you might think, there’s a pretty decent chance day laborers might end up costing you more money than a professional mover would. You’d be hard-pressed to find day laborers who didn’t charge per hour. Why’s that a problem? Well, oftentimes, when they charge per hour they drag their feet. It’s not necessarily an act of laziness — it’s in their economic interest to make the job last for as long as possible, so they drag their feet when making the move. At Zooz Moving, we’ve dedicated our careers to the moving process. We understand the ins and outs of it. We know how to do it correctly. When you’re hiring day laborers, you’re hiring professionals. But you’re not hiring experts. When someone is moving all of your stuff — your furniture, your valuables, your memories — don’t you want to watch the process with the knowledge that the movers know what they’re doing? At Zooz Moving, we pride ourselves on our ability to move your possessions quickly and safely. Does that sound like a good deal to you? If so, call now. Our number is (520) 447-0900. Do you Really Need Moving Insurance? Finding ways to save money during a move is a concern for many, so movers’ insurance often goes completely unused. On the opposite end, some others are very skittish and will purchase all kinds of coverage without really understanding what they are getting for their money. Both of these approaches to handling the unforeseen events that may happen during your next move are not the best way to go about it. In today’s blog post, we will discuss your moving insurance options and when you should consider investing in some. Actual Cash Value insurance attempts to place a value on your belongings that reflects their perceived level of wear and tear at the time of a damaging incident during the move. In some ways, this insurance is great because it only costs a few dollars per thousand dollars of coverage. The major drawback, however, is that depreciation is stacked on top of a deductable that is fairly high relative the average value of household items likely to be lost or damaged during your move. Let’s say you have a television that cost you $1000 a couple years ago and it gets destroyed during your move. That TV may be depreciated to about $500 in value, and then you may face a deductable as high as $250. You are now only getting $250 on your TV, which will certainly cost you much more than that to replace it with a new TV of similar size and quality. Basic Insurance has no premium but all damage is compensated by approximately sixty cents per pound. This gets included automatically for many professional moving service. This level of coverage is functionally rather useless for anything of real value. At sixty cents a pound, you would only get back around $15 on that broken TV. Replacement Cost Insurance is a more robust coverage plan. If you are ever going to pay a deductable, it should be for this movers’ insurance plan. It isn’t based on depreciating the value of your items, so that TV that was broken can be valued at $1000, minus a deductable of $250 would come to $750. The catch is that you are paying more money per thousand dollars of coverage. You may have to pay closer to $8 or $9 per $1000. So this plan is more expensive if nothing goes wrong, but far better if something does. At Zooz Moving, we work with the world renowned company Baker International to provide you with the moving insurance that fits your need. Visit their website and please call us with any questions. We’re happy to recommend an insurance plan that best covers your local, long distance, or commercial move. Trying to Figure Out When to Make the Long-Distance Move to Tucson, AZ? If you’re planning to move to Tucson, AZ, there’s a good chance you’ll want to know when to make the move. The time of day when you choose to move can have a big impact on the experience of the move, as well as the pricing. Let’s get some moving basics out of the way, then talk about what is specifically relevant to Tucson movers. In general, you don’t want to make your move between May 15 and September 15. This is the period of time in which students are unleashed onto the housing market. With so many people deciding to move so quickly, you’re going to have a harder time getting a moving van. You also don’t want to move on the 1st of any month. It’s appealing to move on the 1st because you want to move as soon as the lease comes through, but the fact is that it’s appealing to everyone. With so many people moving on the 1st of the month, moving van prices are probably going to be higher. This makes it actually cheaper to move in the second week of the month. It’s also best to avoid the weekends. With so many people on the road — some of them drunk drivers — it’s not worth moving Friday, Saturday or Sunday. 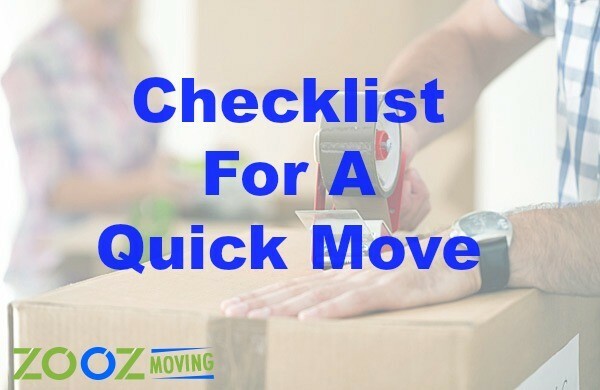 Now that we know some of the general don’ts of moving times, let’s talk about when it’s best for Tucson movers to make the move. First off, you’re going to want to start your moving day as early as possible. It may be painful if you’re not a morning person, but dawn is your best friend for two reasons. One, moving can take a while, so you want to have as much of the day as possible to get things done. Two, the Tucson sun is hot, so you want to start your day before it’s beating down on the city too much. As for day of the week, you’re going to want to avoid Friday, Saturday, and Sunday for the aforementioned reasons. You’re also going to want to stay away from Monday, because that’s the day when traffic is heaviest in Tucson. How can Zooz Moving Help? To summarize, you want to start your move as early in the day as possible. Ideally, you want to move during the second week of any month between October and April. Tuesdays, Wednesdays, and Thursdays are the best days for moving. Now that you know some best moving practices, call Zooz Moving and let us help you out some more! Get in touch now at (520) 447-0900. Moving during the summertime does make a lot of sense. This is usually when kids are in between school semesters, so making a move during this time presents minimal disruption in their lives. If you are making a long distance summer move, the summertime can even give kids a chance to get used to the new city and even meet a few new friends before school starts. Still, there are some drawbacks to moving at this time. The good news is that with some preparation in advance, you can eliminate many of the obstacles between smooth summertime relocation and you! Don’t Wait Around; Book your Summer Move ASAP! Obviously, a professional moving company is the best way to achieve a less stressful summertime move. The problem is everyone knows that, so moving companies in the summertime tend to be at their busiest. If you are not careful, you can expect to pay a pretty penny for local moving services, and you may even have difficulty scheduling the move exactly when you want it. Book the move as soon as you possibly can. Making the actual reservation for summertime moving services in the off-season will guarantee you the moving date you want at the best prices available. Typically, you should get your estimates from at least two locally owned moving companies to help you make a choice. While price is important, it should not be the only factor. Here at Zooz Moving, we are happy to help you with a free estimate for your local or long distance move. Pack light and everyone will be happy. Over time we become blind to all of the clutter. Moving exposes everything we own and really forces us to think about why we are keeping something. If you can’t justify keeping it, then don’t. Place your items for sale on the internet or start your own garage sale. If all else fails, you will feel great just giving away the things you don’t need to someone who does. Your summertime moving can be much easier, faster, and even cheaper when you take this step. Get a head start on the summer now by contacting Zooz Moving today about your next move. We are experts at moving during the summer time in Tucson, Arizona and booking your move with us now will ensure you have the most convenient moving date and time for your schedule. When it comes to the Star Wars franchise, there are several immutable truths: space is awesome, the prequels are terrible, and it’s strange that the Rebels are able to destroy the Death Star as easily as they do. In this post, we’re going to make a bold claim. The Death Star really wasn’t that good of a base. In fact, the Galactic Empire would’ve been better off moving out of the base and to a different location. Perhaps they could’ve moved to Tucson, AZ? Before we could begin to make the move, we would have to convince Grand Moff Tarkin that the move was right for him. It would be a tough sell. After all, he’s so confident in the Death Star that he refuses to evacuate it even when the Rebels are in the process of blowing it up. Admittedly, the Death Star does has some cool qualities. For one, it’s incredibly intimidating. That moment in A New Hope where Obi-Wan says, “That’s no moon. It’s a space station,” wouldn’t happen if Grand Moff Tarkin made the long-distance move to Tucson. But while the view in Tucson isn’t as intimidating, it is beautiful. The weather is also much better. Which would you prefer: the suffocating cold of space, or some nice sunny Tucson days? If that didn’t convince him, here’s the one argument that would probably make the case. Tucson, AZ is much less likely to be destroyed by a couple of well-placed blasts. At Zooz Moving, we’re used to making some pretty long-distance moves. Intergalactic moves? Well, those are a little harder. Usually we handle everything ourselves, but in this case, we might have to rely on our good buddy Elon Musk to provide the rocket ships. 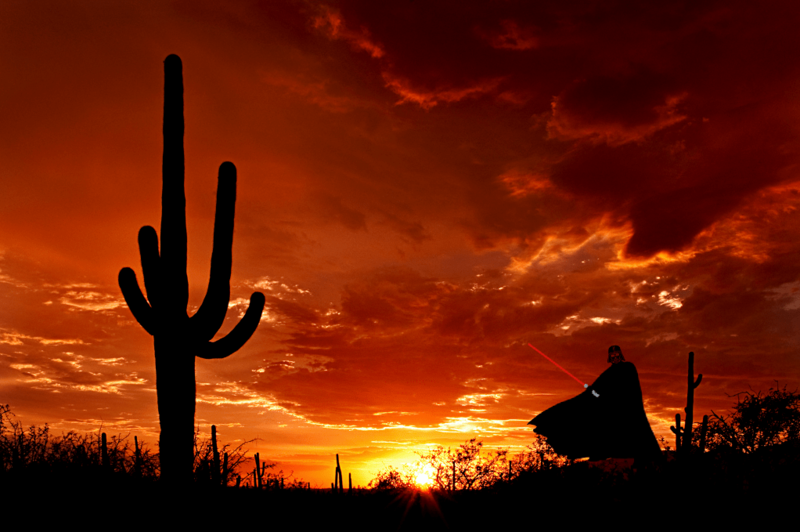 Moving everyone out of the Death Star and into Tucson would make for a truly massive logistical challenge. Luckily, we have a proven 4-step formula that allows us to make perfect moves, each time. We work with Tucson movers to plan and personalize every detail. Are you in possession of an antique table that you want to have handled carefully? We’ve got you covered. Do you need to move 400,000 killer droids into Tucson? We can handle it. At Zooz, we make sure the focus is on you. We give you our 100% guarantee that we will be on-time for both your pickup and delivery date. Luckily, this means we shouldn’t have to worry about getting force-choked by Darth Vader. We’re the Tucson movers you can trust. If you’d like to call and ask about our services, our number is (520) 447-0900. You can also email us at info@zoozmoving.com. If you’re making a long distance move to Tucson, AZ, there are a couple things you’re going to want to know before you get started. When Should Tucson Movers Make the Move? First, you’re going to want to know what time of year is best to move here. Some long distance Tucson movers come here during the summer, because that’s when the costs of moving are at their cheapest. However, the reason it’s might be less expensive to move then is because of how hot it can be. Sometimes, temperatures can move past 100 degrees, so you’re going to want to be careful about moving here during that time. The climate is more hospitable for long distance Tucson movers who decide to move during the winter. However, that is during season. Not only is it going to be more expensive; there are going to be more people on the road. There are two freeways here, Interstate 10 and Interstate 19. However, they both run mainly through the outskirts of the city. This means that many of the streets can get pretty congested. As if that wasn’t bad enough, there are a lot of one-way street signs. So Tucson movers are going to want to watch the street signs carefully! We here at Zooz Moving are used to that sort of thing, since we’ve been helping long distance movers in Tucson for a while now. But for those who are new in town, you’re going to want to figure out your commute time before you start a new job. An important thing to think about in any move is how you’re going to get the furniture from the truck and into your new home. This isn’t a problem for those living on the first floor. But for those living in apartment buildings? You’re going to want to call the building manager ahead of time to let him know that you’re coming. If you’re nervous that you might not fit into the local Tucson culture and that this long distance Tucson move might not be for you, you can check out Daily Star or Tucson Weekly, both of which are great news sources that can give you an insight into Tucsonian culture. If you’re worried about the move itself, please call us at 1-520-447-0900. We’ll set you up right away with a free quote for your long distance move. We’re here to tell you that it’s all okay! The move will be worth it! You can also reach us by email at info@zoozmoving.com.